As an LGBTQIA-affirming therapist, I enjoy working with youth and adults struggling with a range of mental health issues including depression/anxiety, body image, stress management, relationship problems, self-injury and addictive disorders. My therapeutic approach is collaborative, strengths-based, and empowerment-focused. While I work primarily from a client-centered perspective, valuing each client’s uniqueness, I also tailor my approach based to your specific needs. I believe a trusting relationship with an open and compassionate therapist is essential for developing self-awareness and promoting change. As such, I strive to maintain a safe space free of judgement where clients are invited to explore the issues that brought them to therapy. I invite you to contact me to take the first step toward healing. Crystal Adams, a Licensed Professional Counselor and National Certified Counselor, earned her Master of Science degree in Clinical Mental Health Counseling from National Louis University. In addition, Crystal earned a 40-hour certificate in domestic violence education training from Between Friends. 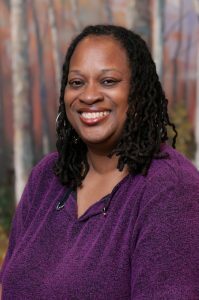 She is trained in trauma-informed care and crisis counseling. Crystal has clinical experience working in a variety of settings including private practice, community agencies, and residential settings.